Before 2009 the only truly territorial unit within the larger Conegliano-Valdobbiadene area was that of Cartizze, the historic 107-ha hill located close to the town of Valdobbiadene, the one that used to supply the parties of well-off Milanese with rich, exuberant, mostly sweetish sparkling wine. 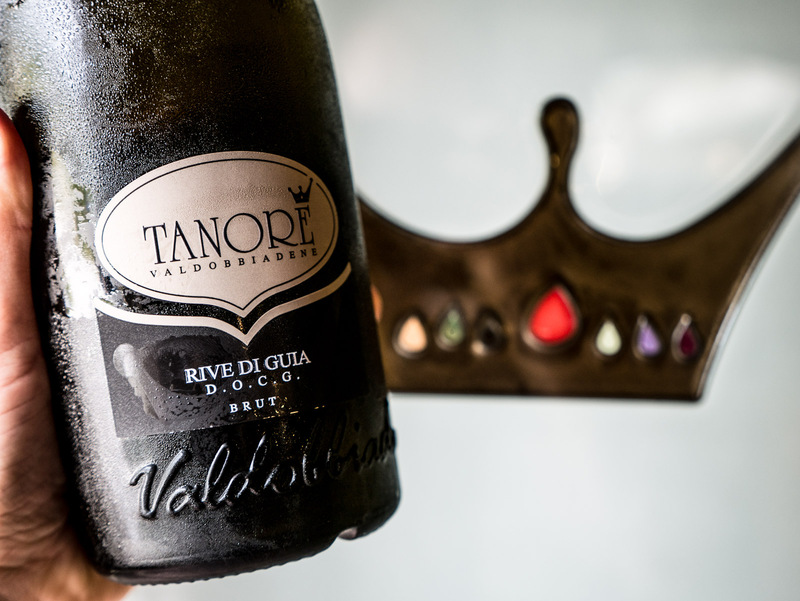 Then the changes arrived — and many Prosecco producers woke up to the fact they could now produce something called “Rive” Prosecco Conegliano Valdobbiadene. The name of the new category was taken from the local dialect word “Riva” meaning “hill”. That’s not exactly a coincidence: most vineyards that can bear the “Rive” name are located on the slopes of the hills between the towns of Valdobbiadene and Conegliano. There are currently 15 “Rive” villages (or communes) of which 43 separate “Rive” can be — in theory — produced. Innocente Nardi, the President of the Consorzio Tutela del Vino Conegliano Valdobbiadene Prosecco puts it this way: “We have been studying zones and soil types for years to see the difference from one zone to another. In 2009 we made a clear statement that the territory is of the utmost importance. “Rive” is the consequence of this philosophy”. While some slopes allowing “Rive” production are gently rolling into the autumn mist like Rive Di Manzana in the commune of Vittorio Veneto to the north of Conegliano, others rise abruptly with extreme hill inclinations that reach 80% as in the vineyards of Riva di Guia in the commune of Valdobbiadene. Besides the requirement of being located within the specific communes, the grapes for “Rive” wines must come from vineyards with controlled yields of maximum 13 tons per hectare (which is slightly lower than the official 13,5 tons requirement for the Prosecco Superiore DOCG wine) and be manipulated exclusively by hand. “Rive” production is still relatively small (only 2,3% of all the Prosecco Superiore DOCG sparkling wines were “Rive” in 2016) not only because enough growers have to come together united by a single winery. Smaller wineries are still figuring out how to build “Rive” into their current production, that is already coming from the hills. In fact, some small-to-medium size wineries could (if they wanted) convert all their production into “Rive”. While bigger wineries are treating Rive as communal appellation and blending grapes from the hills, others, like Zardetto with its Rive di Cozzuolo called “Le Viti Di San Mor” are playing the single vineyard card selecting grapes from dedicated plots within one “Riva” hill. “Of course, we could make “Rive” wine from the whole site that we have here, but we are trying to source grapes only from the best parts of the vineyard,” — explains Filippo Zardetto, whose father Fabio is consulted by a famous Umbrian enologist— Riccardo Cotarella. “We started to produce “Rive” in 2011 and each year we decide whether to make it or not because each year is different. It’s like doing something for fun, but it’s not fun, it’s a serious approach to show the soils diversity and the Glera variety,” — says Daniele d’Anna Bortolotti of Umberto Bortolotti winery already producing several different “Rive”. If “Rive” is a communal and terroir-based concept one would expect some differences in style of different communes. The question not – yet — so easy to answer: it’s been just 7 years from the arrival of the category. While producers are taking “Rive” seriously and with enthusiasm, their number and “Rive” production traditions are not enough to speak about the distinct differences between the “Rives” at large. Some of the “Rive” have only one single producer that, in fact, defines its style. Those that have 3-5 producers making “Rive” off them are too early to compare since their production methods are varying in terms of lees contact times, fermentation and blending practices, not even mentioning soils composition within one “Riva”. One important factor is that “Rive” producers are sharing the idea that “Rive” should be wines with lower sugar levels. There are, of course, extra-dry and dry versions of “Rive” wines, but overall the tendency is towards being either Brut or even soon-to-be “Extra Brut”, the category that will encompass wines with sugar levels below 6 g/l. Prosecco area has a long history of producing sweeter versions of Glera they actually call “dry”, but with “Rive” that might change. “In Rive wines we want to achieve a more complex and structured taste, also retaining fruitiness,” — says the producer of Rive di Refrontolo, winemaker Mirko Della Colletta from Colvendrà winery. “Yes, sugar is important for boosting perfume flavors. In dry version the flavor is more pronounced. The brut version expresses the terroir better, but we also would like to have a top wine that could pair with deserts. Brut is just not good for that”. Even with these considerations, Colvendrà bottles 70% of its “Rive” production as Brut. “It should be the best wine we produce”. It’s safe to say “Rive” producers are looking to bring more complexity and identity to their wines, for many of whom “Rive” already represents the top wine. Sweeter and richer Cartizze wines remain something of a tradition. And an expensive one. Time seems to be key in the DOCG zone evolution. Sergio Bramuzzo of Le Manzane emphasizes: “We have 20 years of experience with Prosecco DOCG and only two years with “Rive”. There’s a long way ahead and we are experimenting a lot”. “The differences between “Rive” wines are not so clear, but the more you know these wines and the more you taste, the more they become apparent. For us it’s also a learning curve,” — says Innocente Nardi, whose family also produces Rive di Farra di Soligo at the La Farra winery. Oddly enough, the bigger cooperatives like Cantina Produttori di Valdobbiadene (around 13M bottles a year) have all the opportunities to be the leading “Rive” producer in the Prosecco DOCG area. With roughly quarter of a million bottles of “Rive” produced in 2016, the winery accounted for about 13% of all “Rive” production that year. “We don’t say we make the best wine, but we can make the best wines from certain areas. Wines with different personalities,” — says the winery’s general director Aldo Franchi. 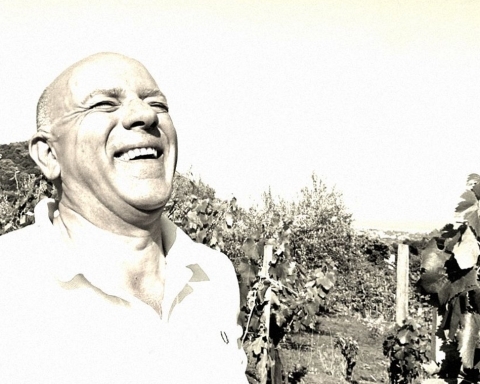 With an extensive network of growers at hand, he can, in fact, produce the most variations of “Rive” wines. “The response we have from the market encourages us to move forward with “Rive”. We could end up producing 10-12 different wines”. For now, they make four. The market figures indicate that “Rive” exports have been growing since the introduction of the category in 2010 — together with the growing production of the category. Around a quarter of “Rive” bottles produced is being exported. This means 75% of “Rive” is consumed in Italy where the prices for these wines are way more affordable. This is especially true for €7-10 price range — being around 30% of “Rive” production in 2015, only 4,6% made it to the distribution channels. The price difference between ex-cellar prices for “Rive” wines and Prosecco DOCG normally falls into €1-3 range. “Partly this increase is caused by lower production and bigger costs associated with manual labor. While Prosecco Superiore DOCG wines are also often produced by hand, it’s important to understand that in “Rive” vineyards one cannot use machinery at all: neither for grass management nor for moving the boxes with grapes and such. All the treatments have to be applied by hand too”, — says Mirko Della Colletta. “It’s about 8-9 times more labor-intense to produce wines from these hills than from flatlands,” — adds Vanessa Follador. “It’s just normal that “Rive” wines cost more”. For many wine producers a less pricey and less sweet “Rive” category is allowing to replace the expensive and traditionally sweet and limited Cartizze production, become less dependent on bought grapes and seek new terroirs best fit for the Glera grape. Prosecco DOCG producers tend to avoid the subject of competition between Champagne and Prosecco. Still, with a more terroir-driven, communal and even single vineyard approach, this competition will become more and more evident. It’s worth mentioning some producers go as far as rejecting the “Prosecco” name form their labels altogether. The appellation rules actually allow them to do so: some labels simply read Valdobbiadene DOCG and the name of a specific Riva as it’s with Roccat and Umberto Bortolotti. 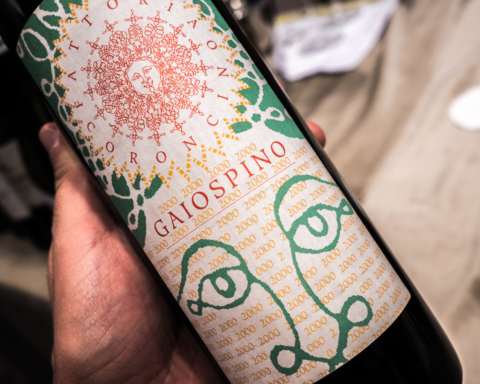 The extreme side of it is Bepin de Eto — the winery produces its Rive di Rua closer to the town of Conegliano without any reference to the Conegliano-Valdobbiadene DOCG on the front label. Could there be a stronger “Rive” message to the world? Not all the “Rive” communes are currently producing “Rive” wines, among them are Colle Umberto, Miane, San Vendemiano and Tarzo. Wishing to guarantee the hillside location of the classified vineyards, Consorzio Prosecco Superiore is also thinking to exclude flatland areas from the current “Rive” zones altogether. As per the latest information we know that “Rive” will become closer to the “Hill” concept than it is today. “The old concept of villages as an administrative delimitation has been overcome, however, to circumscribe them through a cartography in which the individual mappings with the characteristics of location and holography more closed to the term of Rive are included,” – explained the official Cpnsorzio representative to Meininger’s. It will probably take years for the international markets to “digest” the new category of Prosecco Superiore quality. Wineries with clear passion for quality and terroir are going to define the face of “Rive” wines in years to come. They will also have to confront the stereotypes associated with Prosecco. Will “Rive” category make this task easier? We will see soon enough.